Looking For Appliance Repair in Plantation Florida? There are many reasons to choose Rush Hour Appliance Repairs of Plantation Florida. The first of these is the many years of excellent professional experience possessed by the owner. Our company has a commitment to superior customer service. Best Appliance Repairs, a family-owned company, not only provides better service, but better prices as well, offering one of the lowest diagnostic fees in the area. Best Appliance Repairs services appliances from every brand and of every make. From dishwashers to ovens, if you have an appliance that needs repair, we at Best Appliance Repairs can help. Clients can rest easy after a visit from Best Appliance Repairs, knowing they have received the highest level of service. All mechanical parts are covered by an ironclad 90 day parts warranty, further demonstrating our commitment given to clients. Company trucks are well stocked to provide one-stop repairs, saving valuable time.Our most valued customer is always a happy customer and we strive to accomplish that goal. 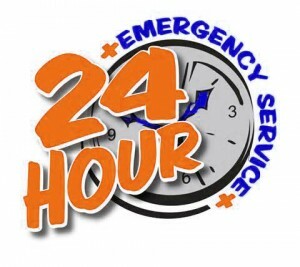 With our fast response and a high tech dispatch telecommunications system, your next professional appliance repair is only a phone call away. We specialize in the following repairs: Refrigerator repair, range oven repair, washing machine repair, dryer repair, dishwasher repair and microwave repair. Rush Hour Appliance has been providing affordable appliance repairs in Florida, appliance repairs in Plantation and in the South Florida area for over 12 years. Our award winning and factory-trained technicians are always prepared with an extensive inventory of parts for every house call, making professional appliance repair in South Florida quick and easy. Our product knowledge includes over 12 years of combined working experience. Over the years, Rush Hour Appliance has earned a reputation for detail, honesty, integrity and reliability. Our Appliance technicians service tenants, landlords and management companies in Broward County. We always focus on quality service and dependability at the most affordable price for appliance repair in South Florida and Plantation Florida. We Service Appliance Repair Plantation Fl and More!